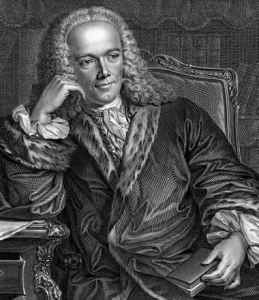 The central thesis of François Quesnay’s 1758 Tableau Économique—generally held to be one of the first texts of classical political economy—is that agriculture is the primary source of wealth. This central insight was the foundational claim that gave rise to what is perhaps the first modern economic theory: physiocracy. The term, derived from the Greek terms physis and kratos, means a “rule by nature.” In other words, the proper functioning of a nation-state, considered in political economic terms, ought to be oriented around the “natural order.” Discern the patterns of nature, order your cities around delivering agricultural goods to the people, and so on, and problems of production and distribution will be dispensed with. Furthermore, Quesnay and the physiocrats reckoned that since all goods ultimately come from natural resources, the cultivation and extraction of these goods from the earth was the primary source of value. It is here that we can see a fundamental distinction discovered in classical political economy: the distinction between wealth and value. There was already an implicit distinction between wealth and value at work in the proto-economic texts of the seventeenth century. Worth, or wealth, referred to the stock of useful goods that was held by any given group or individual. Clothes, food, housing, livestock, and so on, all count as wealth. The worth of a particular thing consists in the capacity that object has to fulfill a particular want or need. Wealth, then, simply referred to things that can be put to use in our day-to-day lives. Value, or exchange value, on the other hand, referred to the price or cost of the thing under consideration—its market exchange rate. This evaluation of the good, as eighteenth- and nineteenth-century economists would largely come to find, was based in the average amount of labor that had to be invested in the production of the good. We’ll see why that is the case in just a moment. For Quesnay, wealth and value were very closely connected to each other. The land was the source of all wealth, insofar as farming, husbandry, and mining provided the raw materials that other trades simply worked upon. In addition to proposing a notion of wealth, we also find a theory of value built into the Tableau Économique. Value, on Quesnay’s reading, is created by those who produce agricultural goods. Merchants and artisans—members of the “sterile” class, according to Quesnay—simply move produced value around, and do little to contribute to the actual value of the goods in question. For Quesnay, the high worth of agricultural goods coincides with the fact that the labor performed in the fields yields a large amount of value. In other words, the physiocratic theory of wealth and value conforms to the logic of our common sense understanding of value: we find valuable those goods that have quality use-value. This is, most often, the understanding of value that my students have. After all, from the perspective of a consumer, the question is whether the product in front of me is worth the price tag associated with it. But this covers up something more fundamental. When I purchase a good, I am not just saying that the good is useful, but that the act of producing it is worthwhile. After all, I am not paying the good to exist; I don’t give money to the box of cereal. Rather, I’m paying the farmers, factory workers, managers, grocers, transportation professionals, owners of machinery, and so on, who allow for that product to be accessible to me. I am, in the act of buying, effectively saying: “The labor that produced this is good; people should continue doing this.” Purchasing a good is, to put it another way, funding the labor that produced it. This is similar to the process whereby, say, a foundation funds research, governments fund education and social services, and investors buy stock in startups. In all four of these cases, the claim is the same: an actor believes that another actor’s labor is valuable, and is thus deserving of the resources necessary to perform that labor. We tend not to connect these types of funding because we think almost exclusively in terms of markets. In a market it is up to individual consumers to freely choose the labor they want to fund by purchasing goods produced by those laborers. But the principle is the same here as in state-based and foundation-based funding: we fund the productive activities that we think are valuable. The claim made by Quesnay and the physiocrats about the source of both wealth and value is, thus, a claim about what sort of activities we ought to be pursuing. For them, the cultivation and distribution of agricultural goods is what ought to be at the center of our organization of society. In other words, economic claims about value are the same as any other value claims. Christians, Muslims, Buddhists, and Jews are supposed to place certain values at the heart of their lives and communities. If I believe that honesty is a good value, or that telling the truth is valuable, then I will attempt to organize my life around that value by not putting myself in situations that would encourage me to lie. If I believe that the lives of animals are valuable, then I will organize my life so that I don’t have to eat or harm them. Values explicitly or implicitly organize our individual and collective lives. Again, we tend to think that markets will discern these values through the theoretically free collective purchasing choices of economic actors. Our market mindset is, of course, the legacy of Adam Smith and his successors. Smith’s Wealth of Nations generalizes the notion already present in the work of the physiocrats, and claims that labor is of two types: productive and unproductive. Rather than claiming that only agricultural labor is valuable, Smith holds that any labor that produces a vendible commodity is valuable, or “productive.” Other labor, like that of menial servants, teachers, priests, etc. does not produce a vendible commodity, and thus does not contribute a significant amount of value to the materials it is performed upon. In this way, Smith reproduces the model of Quesnay, in claiming that there is a class of individuals—the “sterile” class for Quesnay, “unproductive” laborers for Smith—that performs a fundamentally less valuable type of labor. It is thus the production of commodities that Smith and his followers find to be the most valuable kind of labor. For Smith, unlike Quesnay, it doesn’t matter what kind of commodities we produce, since the purchasing power of consumers will ultimately decide what kinds of productive labor should be funded. The only criteria is that this labor produce goods that are useful and vendible (where "useful" is defined as vaguely as possible). It is also the reason, certain critics of the market claim, that we are so directionless as a culture. Market logic values the production of commodities, but very little beyond that. With this in mind, we can see why the case of Bitcoin is so interesting. To begin, we have to look briefly at two related points in the Bitcoin conceptual universe: “mining” and triple-entry accounting. Let’s start with the more complicated concept: triple-entry accounting. This term refers to a relatively intuitive accounting move with enormous implications. To understand how it works, let’s briefly review its precursors, single- and double-entry accounting. Single-entry accounting is incredibly unreliable. It refers to an accounting system in which all debts and credits are recorded in one place. That is, only one agent has a record of an exchange. If I sell you a widget on credit, then I make a mark of it in my ledger and track you down at some point to collect. If I lose that receipt, or if someone “accidentally” wipes it from the books, then there is no way to verify that the exchange ever occurred. This leads to a notoriously difficult auditing process. Double-entry accounting emerged in the opening movements of the rise of capitalism in the twelfth and thirteenth centuries for this exact reason. To cope with increasing complexity in the market, merchants began to mark debts and credits in two places: buyer and seller both kept records of the transaction, a record that can, in theory, be used to hold the other accountable if the need ever arose. Of course, this accounting procedure has its own issues, and many in the Bitcoin community believe that the 2008 recession was due at least in part by shady accounting practices available to double-entry systems. Triple-entry is designed to solve the central problem of a double-entry system: its lack of transparency. In triple-entry—or “blockchain”—accounting, each transaction has three “receipts,” or records of the event in question. Of course, the parties engaged in the exchange record the debt or credit. So far, so double-entry. But the key difference in the blockchain system is that a third party “observes” the transaction as it occurs and makes a third record of the exchange. This third record is then connected to the already existing record of all transactions visible to the public. As such, there is no “fudging the numbers” or “cooking the books” in triple-entry accounting. The third party, and its role as observer of the transaction, ensures that there is no conflicting report of one’s assets. At least in theory. It also gets around the problem of centralization because each user in the blockchain is ultimately the guarantor of any audits associated with the system. There is no central authority that ultimately litigates, and the community as a whole litigates through a clear electronic trail of debts and credits. But this begs the question: how do you get Bitcoin to exchange in the first place? You can acquire Bitcoin in two ways: through exchange or through “mining.” The first method treats Bitcoin the way that we traditionally treat either commodities or currency. That is, it treats Bitcoin as a “thing” that one can use to trade for a profit or use to acquire some good. Of course, this can only occur when we make a comparison between the value of Bitcoin and the value of some other good external to the circulation of Bitcoin. What this doesn’t tell us is why Bitcoin has value in the first place. There are two main schools of thought that I have encountered in explaining this question: scarcity theorists and utility theorists. Many people make the commonsense assumption that the reason Bitcoin has value is because it is rare, and will remain rare because its quantity is capped at 21 million. But scarcity isn’t enough to give value. There are plenty of scarce things in the world that have no value at all. What makes the scarce things valuable is that we think the act of producing and consuming them is worthwhile. Again, we don’t pay the matter itself, but those who we want to encourage to seek it out and produce it. The other approach that people take in assigning value to Bitcoin is in assuming that there is some use value that they contain. These individuals reckon that Bitcoin is useful because it allows their holder to amass a massive amount of wealth outside of the system of state-surveilled exchange. In other words, it allows individuals to appropriate nontaxable cash. That is true, but this explanation has two problems. First, it runs into a practical problem. In order to purchase goods in the normal market, one has to convert Bitcoin to some fiat currency, which creates a trail observable by the State. It isn’t unreasonable to assume that if the Bitcoin economy becomes large enough, and begins exerting a significant influence on the “normal” market, that there will be a strong push to have some kind of state oversight in cryptocurrencies, thus negating or diminishing this perceived utility. The second problem is more theoretical. Aristotle was the first to observe that currencies have no intrinsic worth. “[I]t is thought that money is nonsense,” he wrote in the Politics, “and nothing by nature but entirely a convention, because when those who use it have changed the currency it is worth nothing.” This is “because it is of no use for any of the necessary needs of life and a man well supplied with money may often be destitute of the bare necessities of subsistence… like the famous Midas in the legend, when owing to the insatiable covetousness of his prayer all the viands served up to him turned into gold.” In other words, treated as a currency, Bitcoin offers no intrinsic utility, but only the means by which to attain the things we desire. Value, then, cannot be tied to Bitcoin’s perceived utility. So, then, what is it that produces value in the Bitcoin economy? The answer, if the theory above is anywhere close to right, is labor. The next logical step is to ask: what kind of labor occurs in the Bitcoin economy? This is where “mining” comes in. Mining is what makes Bitcoin run. It refers to the process whereby a user acts as the third party in the exchange outlined above. When I observe a transaction, and add it to the blockchain, I am allowed to add another entry to the blockchain as well. This entry is one in which I gain a certain amount of Bitcoin. The more time and energy I invest in observing transactions and recording them in the public record, the more Bitcoin is “produced,” up to 21 million coins. After that limit, no new Bitcoin is “created” or artificially “pumped into the system” (as those in the community like to characterize state-backed currencies), but the act of observing transactions will still yield a “wage” in the form of a percentage of the coin exchanged. A “transaction fee,” if you will. Investing in Bitcoin is, whether investors realize it or not, funding the idea that building the blockchain is worthwhile work. For the time being, Bitcoin is at its base the funding of those people who, either directly or through their algorithms, build the blockchain. Even after new Bitcoin ceases to be produced, the act of observing and building the public record will be the source of value in the Bitcoin economy. To put it in terms given above, investing in Bitcoin is, whether investors realize it or not, funding the idea that building the blockchain is worthwhile work. That it is an end that people ought to pursue. This is why the opening up of futures trading on Bitcoin is so interesting. What those betting on a bull market are claiming, in essence, is that this particular form of labor—again, performed either by a human being or a machine in which they have invested—is one that will become more valuable. In other words, the belief is that the triple-entry accounting system is one that we ought to have around and use on a large scale. Accounting in this way has some very compelling benefits, such as transparency in elections and banking, and might be a useful tool in guaranteeing the continued existence of both sustainable markets and free democracies. But it has its drawbacks as well. Privacy can be protected on the blockchain through encryption, but convincing voters and traders to trust such an open and transparent system to be careful with their information might be difficult in the post-Equifax era. Those optimistic about the continued existence of Bitcoin and other cryptocurrencies ought to be cognizant of this when investing. To put this all another way, Bitcoin needs to be treated differently than other markets. It is currently being treated like either a currency or a commodity, but it is neither. Viewed from a labor-theory perspective, Bitcoin’s value is grounded in the idea that triple-entry accounting is important for our civilization. Investing in it is, despite the vulgar treatment given in purely economic journals and publications, investing in an idea; it is investing in the building of an infrastructure capable of verifying exchanges in a blockchain. According to miner Elaine Ou in a recent Bloomberg article, the Bitcoin network can only handle about seven transactions per second, which is several magnitudes lower than necessary to handle banking at a really significant level. To allow for the kind of exchanges currently taking place in “normal” markets, extensive mining facilities will have to be established and fed with a healthy and cost-efficient energy grid. The energy required to program new entries into the blockchain is enormous, and nowhere near the level required to bank on a global scale. Some have argued that getting a large-scale renewable energy grid is necessary to growing the blockchain itself, and so investing in Bitcoin is also indirectly betting on the rapid increase of renewables in the energy sector. In a strange, technologically accelerated way, the Bitcoin system bears striking similarities to the system of the physiocrats. Unlike Smith and other market liberals, Quesnay identified a specific form of labor against which to measure the value of other forms of labor, agricultural labor being the primary source of wealth and value in eighteenth-century France. Bitcoin poses a similar specific form of labor: the creation of infrastructure, both physical and virtual, that allows for triple-entry accounting to exist. It says, in effect, that such a system of financial and electoral oversight is important work, and ought to be funded. While the physiocrats’ claims ultimately ended up being superseded by those of the market liberals, they offered one thing that the liberals could not: a teleological vision of human activity, oriented toward the production of necessary goods like food and clothing. While the Bitcoin network seems to be horribly crippled at the moment by speculation, misunderstanding, and greed, recognizing what it could do to create an open and transparent banking system—one that might avoid things like the financial crisis of 2008 and the human suffering it brought in its wake, one that accelerates the building of an extensive green energy grid—might make it worth while. Evan Edwards is a PhD candidate in the philosophy program at DePaul University in Chicago, and a writer. His research interests center around the confluence of technology, economy, and ecology, and he is currently completing his dissertation entitled Nature's Genius: Emerson, Whitman, Thoreau, and the Emergence of Political Ecology. He can be found online at thevitalfacts.wordpress.com. Bravo! I love the intersection of economy theory and philosophy here at PEL. Keep ’em coming, please. Well done Evan. I don’t profess to understand blockchain but I could see its evolution allowing access to those who don’t have access to traditional banking/financial institutions. For example the poor and those in underdeveloped countries who don’t have such access. The lack of such access keeps them from improving their lot and competing with those who do. Blockchain only requires access to the Internet. Probably an oversimplification. That’s a really interesting point. These alt-currencies still have a lot of resistance to those who aren’t already capable of investing in the tools needed to access the internet, and one of the big problems is that from an energy cost perspective, it will cost you more money to pay for the energy needed to do the computing work than the equivalent bitcoin that you get out of mining. That has to be exacerbated in places where reliable energy is more expensive than here in the States. I really appreciate this timely essay, and I also want to echo Luke T’s comment and likewise applaud the intersection of political economy and philosophy that this essay brings to bear. Obviously, there has been an explosion of various crypto-currencies – each serving various purposes and potentials, while also offering differing types of “rewards,” opportunities, and versions of participation, mining, and/or “labor.” This is just a long way to say that while Bitcoin currently functions as the crypto-numeraire, it’s hold on that designation is far from established or destined given the cacophonous multitude of crypto-currencies currently in existence. 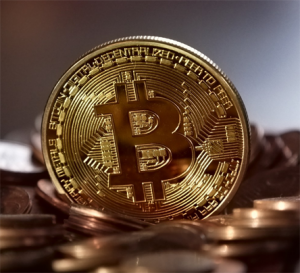 Moreover, the value of Bitcoin mining exists in relation to the relative strengths and weaknesses of its own network of miners, as well as the name recognition of its competitors – if the crypto-currency world has taught us anything, it is that it is utterly fickle and just as likely to lift an inferior coin heavenward (eg, Bitcoin) as it is to dash a superior or even the same one on the rocks. Hence, the inability and interdependent instability of Bitcoin to actually function as the universal point of reference from which to determine all other forms of value would seem to nullify any claim that it could function as such. Alternately, while I agree that mining/triple-entry accounting might function as a kind of “cornerstone” measure of value due in part to the potentially quasi-fixed rate of crypto-coins awarded per block necessarily solved by the miner, that value itself is always inter-subjectively and inter-dependently determined. For example, due to its utter reliance on the capacities of modern technology, regional popularity, number of miners mining, broad based buy-in from people in technologically advanced societies, and its overall “legalistic” permissibility within those societies, then any disruption of the supply chains, geographies, miners, populations, and/or regulations (or lack thereof) that make it possible are things that in turn help to over-determine its value. While I see that a real potential exists for the Blockchain to overtake our current modes of exchange and make what I would consider positive change, the fact that the blockchain depends on triple-entry accounting does nothing to negate triple-entry accounting’s grounding in commodity exchange and the elision of labor as commodity. Consequently, while we might (arguably) say that labor is always necessary to create the possibility that something has value, we cannot say that it is sufficient. Hence, we might just as easily suggest that people buy into the blockchain only if they subjectively value the utility of the good more than the price they have to pay for it and that it is they who subjectively determine the value of the blockchain, as well as the value of the labor of the miners themselves – this could remain to be the case whether or not government oversight exists…draconian or otherwise. Surely I am missing something and don’t understand blockchain technology enough to make a reasonable point, but I would honestly love to see a more irrefutable connection between the production/source of value and labor, as well as a more decisive rejection of the subjective theory of value as it relates to the Blockchain. I am ready to be convinced otherwise and am excited by the possibility of decentralized networks of exchange, but I am still failing to see how value in a decentralized blockchain network vis-a-vis triple-entry accounting is produced by labor, while value in a “free” market is seemingly produced by the subjective (or over-determined inter-subjective) choices of market actors. If anyone has something to add that clarifies, refutes, or opens up other avenues of thought, I would certainly be interested!